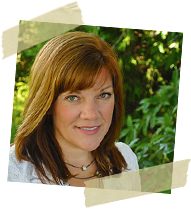 « Fabulous Bonuses for Joining The Art of Home Club today! Hi there! Last week, I shared my new Preview Video with you, where I showed you some of the projects that we will be working on in The Art of Home Club for 2018. I am having sooo much fun working on these projects…. I’m spending a lot of time on embroidery these days, which is fine with me, because it’s Hallmark Christmas Movie season so I have a good excuse to just sit and relax and stitch!! I’m one of those people with 2 speeds- GO and STOP. I will admit that moderation can be a little difficult for me- I tend to go, go, go and then just “plop” on the couch! So, after the go,go,go of Quilt Market last week, it’s been nice to spend my evenings watching Christmas movies and relaxing a little. Since I started to talk about The Art of Home Club at the beginning of this post, let me tell you a little more! We love making new friends in The Art of Home Club- we have a private Facebook group where we can share our project photos and ask questions. We also have a Club newsletter where I special goings-on and behind the scenes stuff, and our Member of the Week. For our Member of the Week, members can fill out a profile if they want, and tell us a little bit about themselves (like their favorite projects, vacation spot, etc.) They also share photos of their quilts and pets and other fun things. These profiles are shared through our Facebook group and our newsletter- it’s so fun to get to know each other this way! And everyone gets to be a “sewlebrity” for a little while! 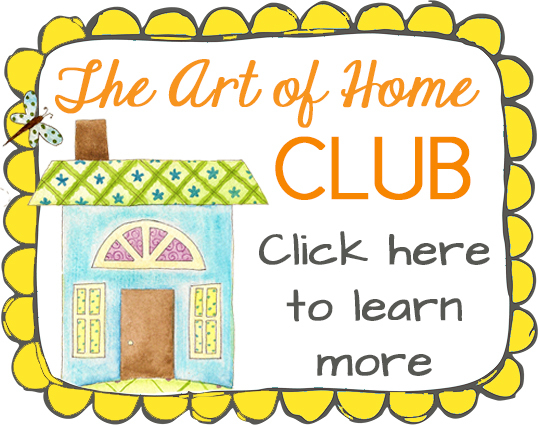 Projects and patterns for The Art of Home Club are available to Club Members ONLY- you will not find them anywhere else! Not in shops, online stores or websites (including mine.) These are truly exclusive designs reserved for my members! We only open up enrollment to new members a few times per year! Membership will be open Thursday Nov 9 through Wed Nov 15, then it will be closed to new members until sometime in 2018. As a member there are so many bonuses, tutorials, and projects! 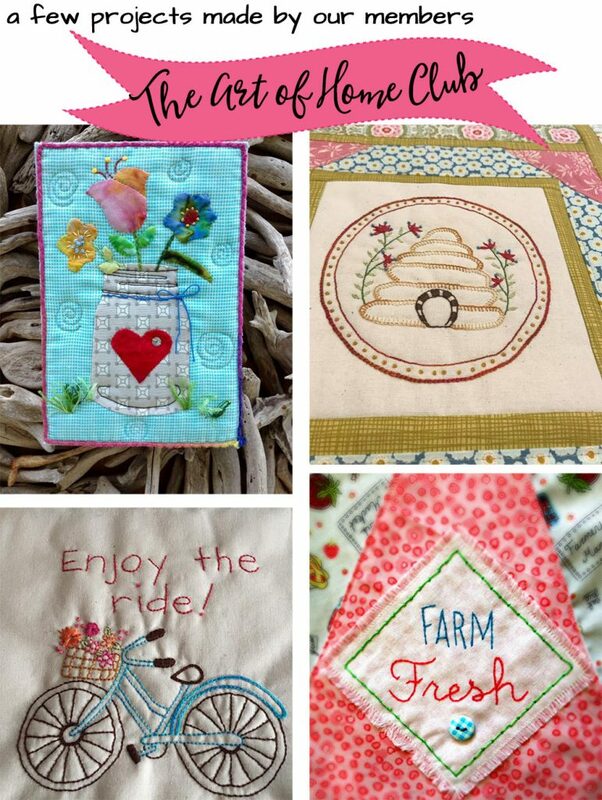 All for just $9.95 per month- that’s about the cost of ONE well-written quilt pattern! Get more details about the Club by clicking HERE. This article was posted in Art-Design-Business, Embroidery, Featured, Sewing & Quilting, The Art of Home Club, Travel & Favorite Places. Bookmark the permalink. Follow comments with the RSS feed for this post.Post a Comment or leave a trackback: Trackback URL. I love seeing the projects and the combination of embroidery and applique. I’m looking forward to joining your club! Thank you! I am so excited about being able to join your club tomorrow. Your butterfly is lovely. 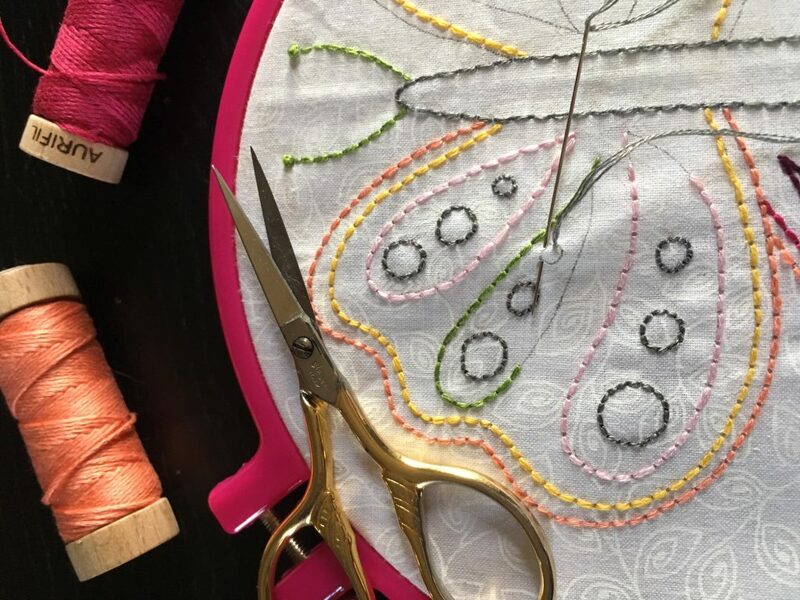 I have been working on the quilt along and loving every minute with Alyssa Thomas of Penguin and Fish with the facebook live and youtube videos. My favorite block is the first one, I think – but love them all. 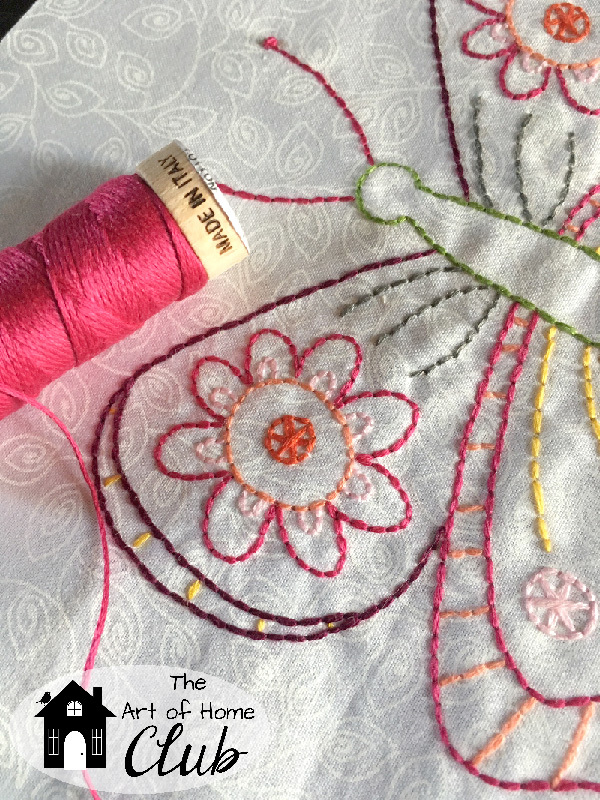 What thread do you use for your embroidery projects? where do you get the embroidery thread at.